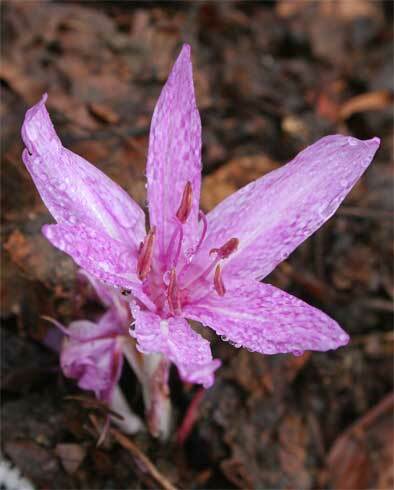 This autumn flowering Colchicum is slightly smaller than the more common 'Naked Ladies' with lovely checkered flowers. It flowers late in the autumn when most other things in the garden have flowered. It is easily grown in an open bed with well drained soil. The leaves come up just after flowering and last into the next summer. Flower 6cm tall, leaves 16cm tall.